After enjoying a brief hiatus, the UFC comes storming back with its second show in six days. “The Ultimate Fighter Nations Finale” takes place Wednesday inside Colisée Pepsi in Quebec City, Quebec, Canada. 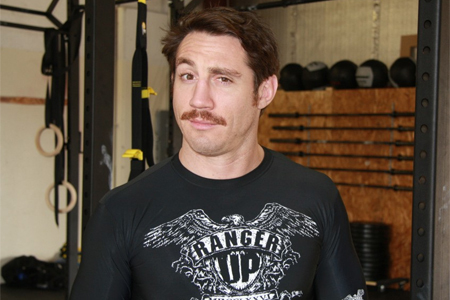 A middleweight grudge match between Tim Kennedy (pictured) and Michael Bisping headlines the festivities. TUF Nations coaches Patrick Cote and Kyle Noke serve as the co-main event. UFC Fight Pass streams the night’s first four scraps live starting at 3:15PM PT/12:15PM PT. Fox Sports 1 will handle everything from there. The remaining four prelims air at 5PM ET/2PM PT, with the main card beginning immediately after at 7PM ET/4PM PT.